Admittedly, Jameel was pretty much only introduced into Negligence because I liked drawing his massively ridiculous hair. 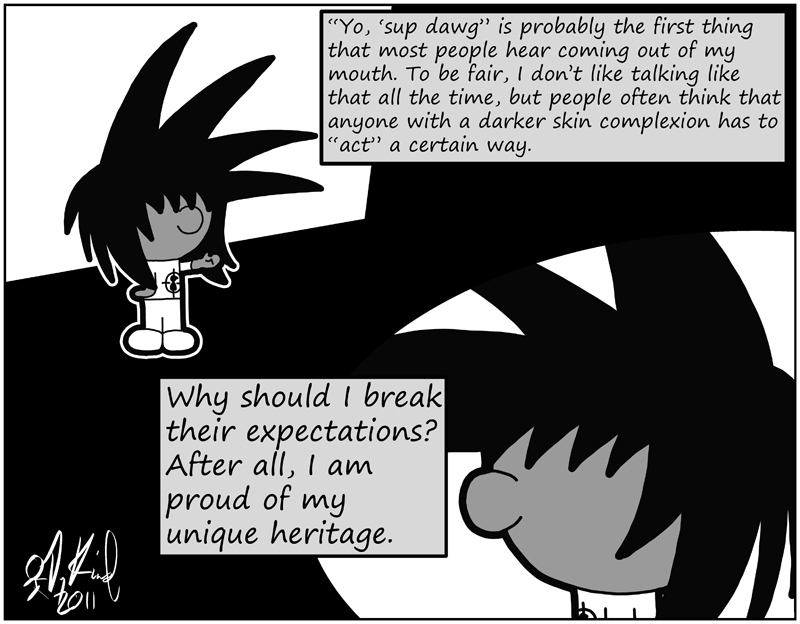 He was, at first, very much a "black" centric character inspired by "The Boondocks" and similar shows, but I've been trying to widen out his character some more. Lately, I've been focusing on why he acts the way he does.